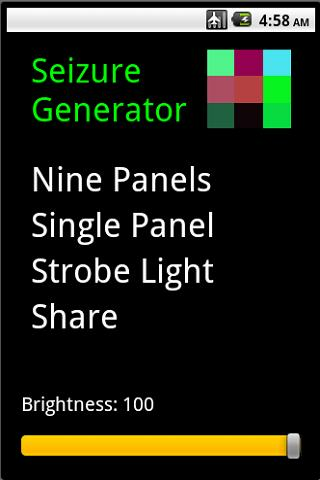 Seizure Generator is for fun and should not be used for long periods of time. 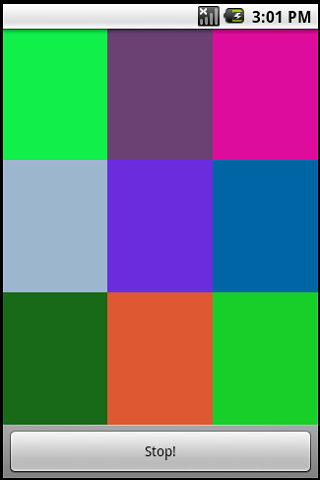 The app will generate a random color for each panel on the screen. Choose between a single panel, 9 panels, or strobe light mode. Feel free to email feedback/suggestions.